Despite its flaws the PA-23 is one of those classics that will continue to be in demand for some time to come, most notably for its purchase price & performance combination. What is the Difference Between the Piper Apache and Piper Aztec? Is it a Piper Apache PA-23? Or a Piper Aztec PA-27? Or PA-23 Aztec? I guess technically all three designations are correct with the official FAA designation for this aircraft being the Piper PA-23. The Piper Apache / Aztec was Piper Aircraft’s first twin-engine production aircraft and over 7,000 were produced over close to a thirty-year time span, with multiple variants over the years. The last model to roll off of the Piper line in 1981 was the six-seat PA-23-250 Aztec F with 2 x 250 hp fuel-injected IO-540 engines. The PA-23 was not initially designed by Piper Aircraft. It was, in fact, a design from the now-defunct Stinson Aircraft Company. Piper inherited the design when they purchased Stinson in 1950. This “Twin Stinson” would become the PA-23 Apache, the world’s first modern multi-engine aircraft produced for the general aviation community. 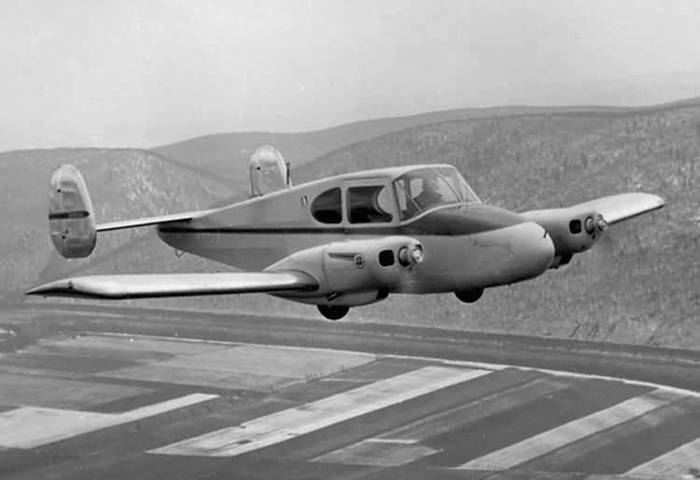 The 1952 prototype PA-23 was a twin-tail design with two 125 hp Lycoming O-290-D piston engines and a fuselage composed of steel tubing covered in fabric. This design led to some unfavorable flight characteristics and so the aircraft was changed to a single-tail design and constructed with aluminum skin. The engines were also upgraded to some more powerful 150 hp O-320-As. This four-seat aircraft entered production in 1954 as the PA-23 Apache. Apaches continued to come off the line with the 150 hp engines with only minor modifications made to the airframe until 1958 when two notable events happened. The first was the upgrade to the engines; 160 hp O-320-B engines were added to the Apache and designated the Apache E. This aircraft would undergo some other small modifications, including a slight increase to the cabin length and replacing the O-320-B engines with the O-320-B2B; this final designation was the PA-23-160 Apache H.
The second event was the introduction of the Piper Aztec PA-23-250. The Aztec was a slightly elongated Apache, now seating five, but it came with much more powerful 250 hp Lycoming O-540 engines. 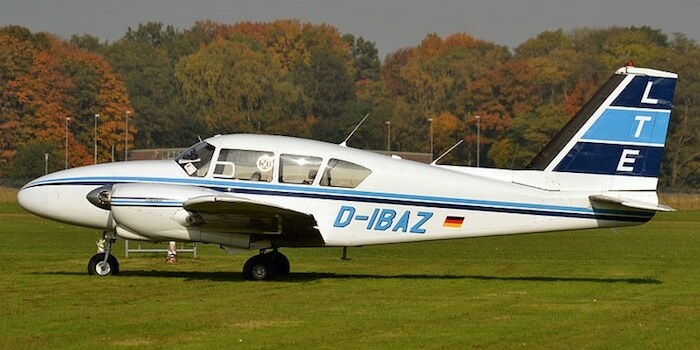 A couple of years later Piper lengthened the nose of the Aztec slightly, added a sixth seat, and upgraded the engines to the fuel-injected IO-540s. 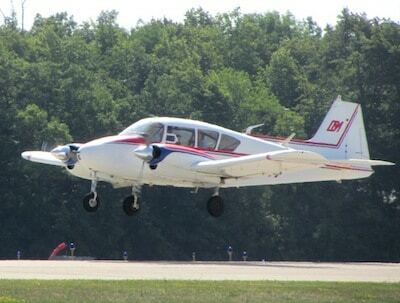 This would become the Piper Aztec B PA-23-250. Following all of this? So now we find ourselves in 1961 with the PA-23-160 Apache H and the PA-23-250 Aztec B being produced simultaneously. Aztecs and Apaches were mostly indistinguishable from a distance. The Aztec was also called the PA-27 in an effort to clear up this confusion between the two drastically different engine configurations. 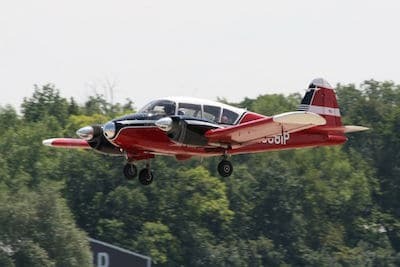 Piper would make one more model of the Apache, which was actually based off of the Aztec and came with less powerful 235 hp O-540 engines, but designated the PA-23-235 Apache. Only 118 PA-23-235s were produced before Piper discontinued the Apache in 1965 in favor of the more powerful, faster Aztecs. This change in production was more or less the last time the PA-23 would undergo any major changes for the next twenty years of production. From the Aztec B to the Aztec F, there were some changes to instrument panels and controls, some slight modifications to wingtips and engine nacelles for better performance, and one more nose elongation in the Aztec E. A turbocharged model, the PA-23T-250 was also available for an extra $10,000 (the base price of a Piper Aztec E in 1971 was $70,000). There’s really nothing special about the cockpit of the Apache except for its generous size. It’s laid out in the traditional manner, and these airplanes are so old now that modifications through the years have left each one like a fingerprint and totally unique. Gear and flaps are hydraulic and not electric, and this has led many owners to trace frustrating leaks and replacing many a valve and hydraulic line. Prior to the Piper Aztec F, the hydraulic pump was on the left engine. If that engine quit, the pilot would need to give a hefty 30-50 pumps of the manual gear extension to get the wheels down. The Aztec F added an auxiliary hydraulic pump on the right engine. Apaches and Aztecs have wings with constant, long chords, and this gives them great slow-speed performance, making takeoff and landing on short fields a breeze. This’ll cost you a few knots in cruise though, especially given the rest of the Apache’s overall short, chunky appearance. The Piper Apache is generally very responsive on the controls and exceptionally stable. It’s one of those aircraft where you can make a control input and then take your hands off the controls until you need to adjust heading, altitude, or speed again. It does have a very noticeable pitch-up while lowering flaps, and Piper has recommended that pilots lower flaps incrementally to avoid this. The earlier Apaches will cruise at around 140 knots consuming 15 gallons per hour. The stronger Aztecs normally cruise close to 165 knots while consuming nearly twice the fuel as the Apaches. Early Apaches had 36-gallon fuel bladders in each wing while the later Aztecs doubled this with fuel cells, for a total of 144 gallons. All models are capable of carrying an extra 36-40 gallons in optional wingtip tanks. Apaches have generous loading options; most pilots can get away with filling four seats with full tanks and a little bit of baggage. All six seats can be filled in later models with full tanks. Depending on options, the early 23-150s have a useful load of 1,320 pounds and the later 23-250-F a load of 2,020 pounds. Single engine performance in both the Apaches and Aztecs is pretty miserable compared to the Piper Seneca. Published climb rates are between 110-240 feet per minute, but most Apache pilots know that this is only realistic in optimal conditions. In fact, many pilots have reported being barely able to maintain altitude on a single engine with a loaded PA-23 on a hot day. The rear cabin steadily grew throughout the years, adding a third row with a fifth, and eventually a sixth seat. This third row is very uncomfortable for standard passengers though, so many owners have removed this third row to reduce weight and make room for more cargo. The Piper Apache is very forgiving for balance limitations. A company called Seguin Aviation introduced the Geronimo modification to the PA-23-150/160 in the mid-1960s. This wasn’t just about changing a windshield or rudder – Piper Geronimos are essentially entirely rebuilt aircraft. Major enhancements include a larger cabin, larger rudder, redesigned nose & windshield, aerodynamic improvements to all control surfaces, and larger 180 hp engines. Pilots flying this modification have reported an increased useful load, better climb performance, increased cruise speed, lower fuel burn at cruise, and safer single-engine characteristics. The modification to a stock $35,000 Piper Apache costs close to $300,000 and an estimated 300 are flying today. Despite its flaws, the PA-23 is one of those classics that will continue to be in demand for some time to come, most notably for its purchase price & performance combination. It’s an exceptional multi-engine aircraft with great cargo capacity at the expense of cruise speed. Just be careful – older Apaches can quickly drain the bank account if not actively maintained.